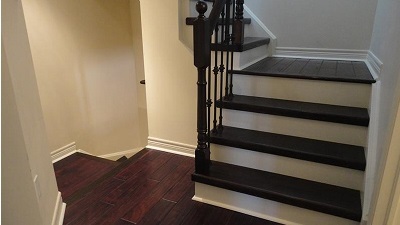 Looking for a great home renovation contractor? Don't take our word for it, read some of our testimonials below. "I would like to start off by saying our experience in dealing with Open Concept Renovation, not only once, but three times was exceptional. The owner, Wilson Gonzalez is excellent to deal with. He is very thorough in his planning process, and has great vision of the finished result. He uses state of the art technology to create a plan that will fit your ideas and budget. Wilson is open to ideas, and will do anything to make sure you, the customer is 100% pleased with every detail of the job. That even included spending a whole day re-doing a part of the job that I wanted to look different. NO questions asked! 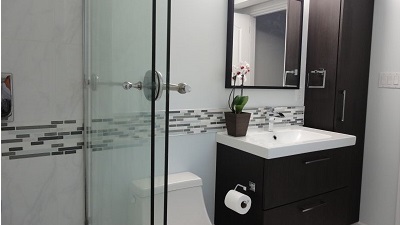 Wilson and his team are VERY professional, polite, and keep the dust, dirt, and all of the confusion of a renovation to a minimum. At the end of each work day, everything was put away and cleaned up. The whole process of the job was flawless and was completed in a timely manner. The outcome was beyond our expectations which even included a much higher asking and selling price when we sold our home. 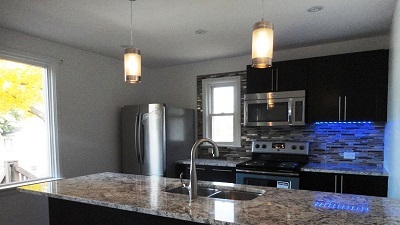 This of course led us to hiring Open Concept Design once again to complete all of our renovations in our new home! I would definitely recommend Wilson and his team….you will not be disappointed!" 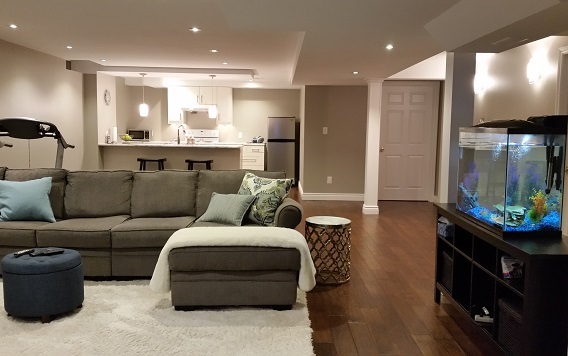 We hired Open Concept Renovations (Wilson) to renovate our basement in the fall of 2014. 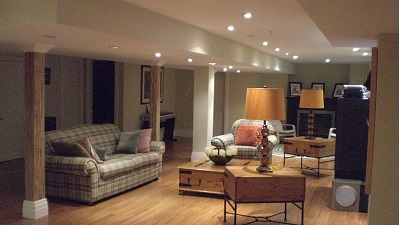 We had seen a renovated basement he had completed in a neighbor’s home and were impressed. When we first meet with Wilson, we discussed our needs and the floor plan we were considering. Wilson listened, asked a lot of questions and returned in about a week’s time with two floor plans, each of which incorporated many of our ideas. Wilson also incorporated a number of suggestions, all of which enhanced the overall design and took into consideration a number of factors we had not considered. Once we had agreed on the floor plan, Wilson started and finished the work on time and on budget. Wilson consulted with us at each stage of the renovation and he kept the work area neat and tidy. Wilson was always very professional and approachable; it was clear that he takes great pride in his work. Not only do we highly recommend Wilson, we intend to use his services again.